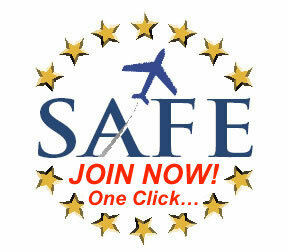 SAFE now offers the ability for members to put their memberships on automatic renewal. With your permission, we will charge the credit card number that you provide us on an annual basis to renew your membership. 1) If your membership is up for renewal within the next several months: You may sign up for auto renewal during the checkout process via our online store. This option appears just to the left of the add to cart button. Choosing Yes to Auto Renewal from the drop-down menu gives us permission to charge the credit card that you are using to renew your membership next year when your membership expires. 2) If you recently renewed and aren’t due to expire anytime soon; please fill out the sign-up form to register for auto renew. You can cancel the auto renew at any time. Simply email our Administrator, Jenny Furst, at the contact form, or you can all us at (805) 687-5217.